I have corresponded with faculty at the Texas A&M poultry science department in the past, but it was a bit of a surprise to be invited several weeks ago to travel to College Station, Texas, to meet with Jeff Tomberlin who is with the Entomology Department there. 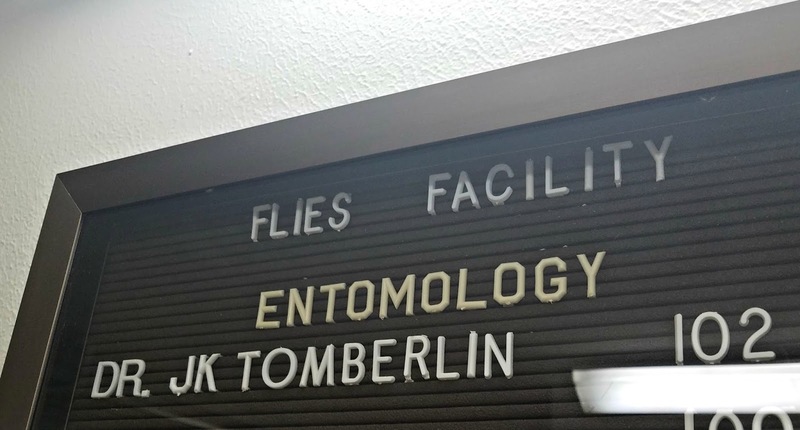 Dr. Tomberlin has a Ph.D. in Entomology and is an Associate Professor and Program Director of the University's Forensic and Investigative Sciences Program, which he helped to develop. As one of just 14 board certified forensic entomologists in North America, his area of expertise is decomposing matter, flies and ecology. In fact, he gave a fascinating TED talk on the subject last year. This is a man who loves his bugs! 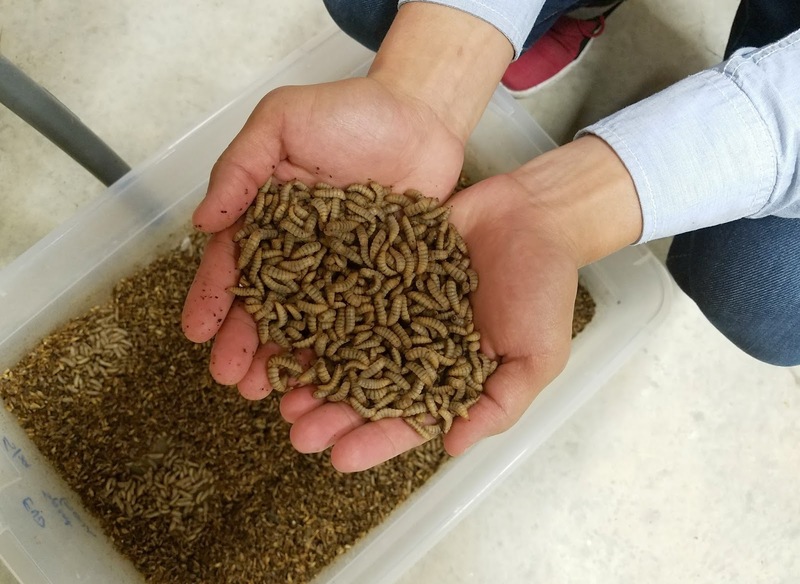 He is focusing primarily on the black soldier fly larvae (BSFL) at the present time, and after spending the day with him and Ph.D. candidate Spring Yang, I have to admit I was pretty fascinated by these little squirmy larvae as well! So by this time, you are probably wondering the connection to chicken keeping, am I right? Well, so was I ... at first. 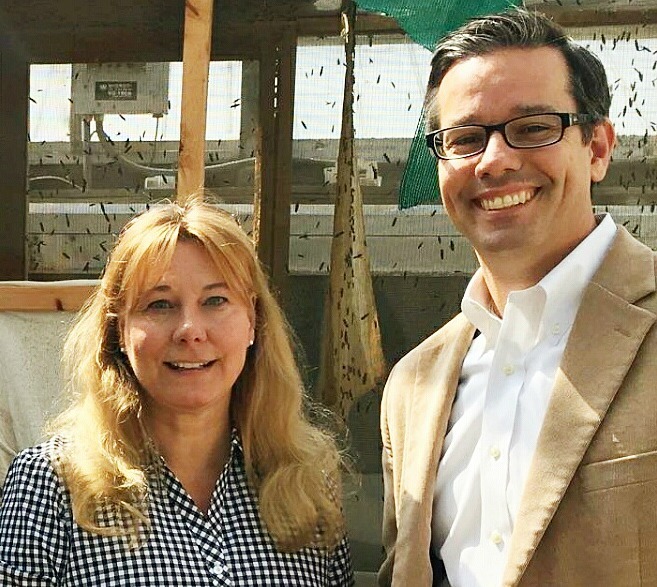 But it didn't take long for me to not only see the connection, but also see some far-reaching benefits of the black soldier fly larvae for the backyard chicken keeper. 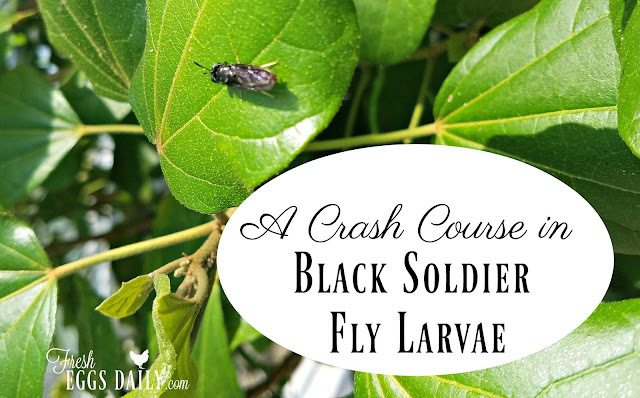 For those not familiar with the black soldier fly, they don't really look like flies at all, but instead resemble mud daubers. 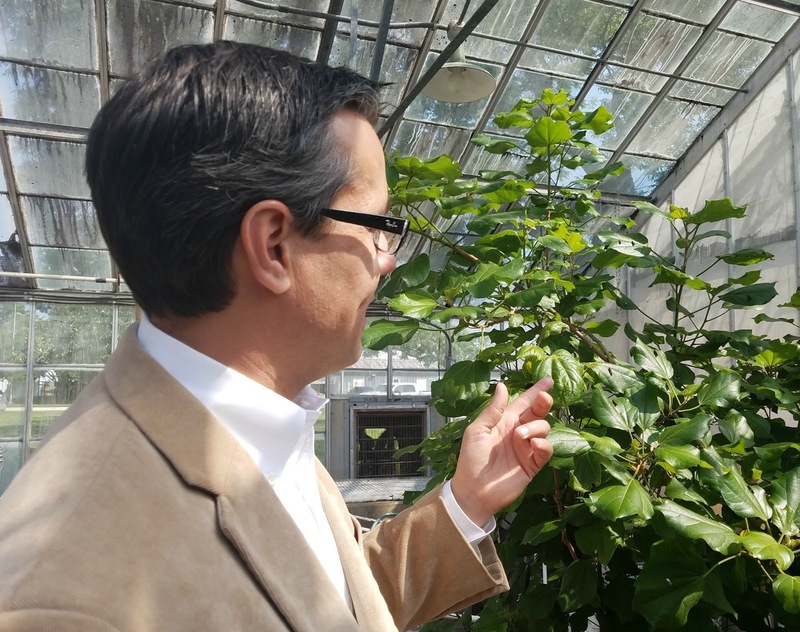 They are native to the United States, and in fact are being bred in the US at the current time as a protein source, mainly for poultry and reptiles. They aren't pest or nuisance insects - they don't bite, won't swarm, don't try to get into your house, nor bother humans nor animals - and they don't carry disease like the common house fly. In fact, being territorial, they will actually drive the house fly out of their area and in the process of eating waste and decomposing matter, have the ability to eliminate any toxins or pathogens such as E.coli or salmonella right out of it! Easy to 'farm', while they do need to mate in natural light, i.e., outdoors, once they have established themselves in your compost pile or bin you set up for them, they'll happily munch on pretty much anything you feed them. 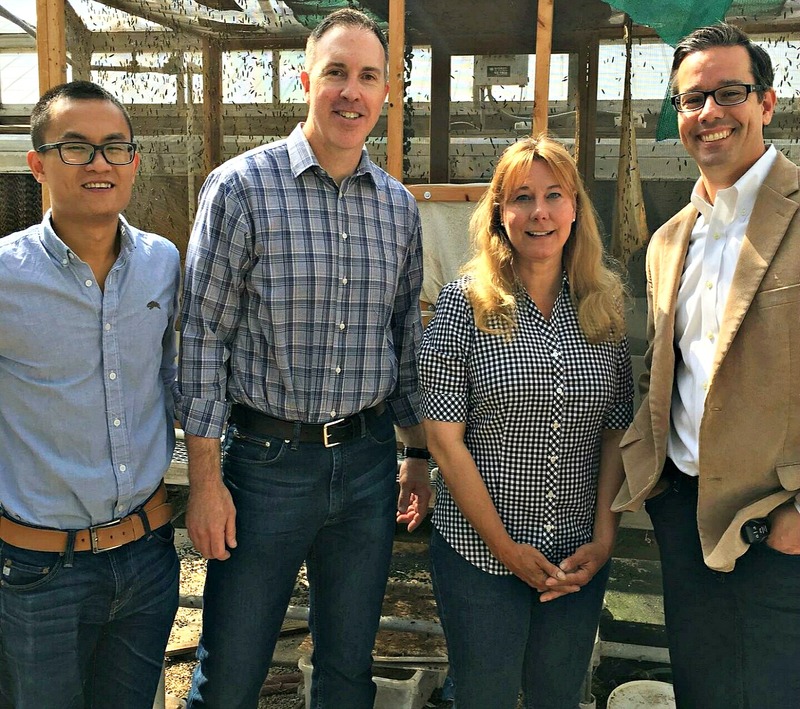 So their potential to reduce food waste in landfills is mind-boggling, really. 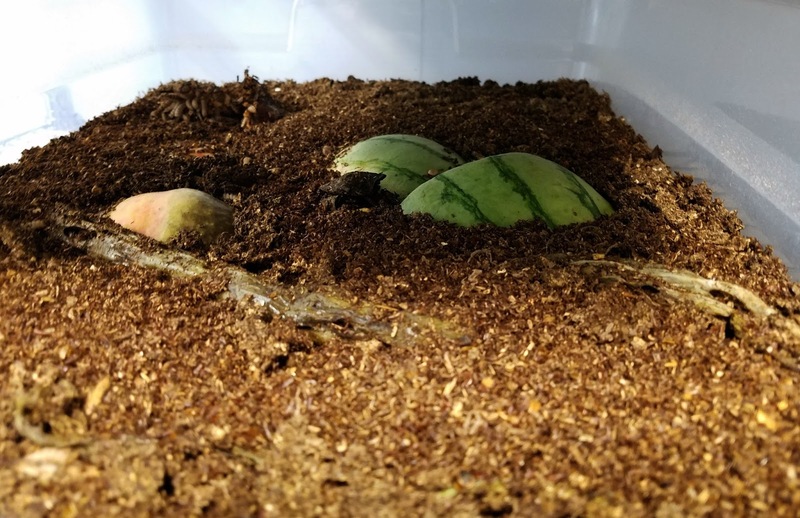 They can live in a wide range of temperatures generally ranging from around 60 degrees F to 100 degrees F, but since they also create a massive amount of heat as they work to digest the food scraps, they can even tolerate a light frost if they are submerged deep in organic matter. I would much rather see black soldier flies around my chicken coop and run than any other type of flying pest, that's for sure, so encouraging the BSFL to move it and start breeding could be a very natural, easy way to keep your coop and run house fly free. 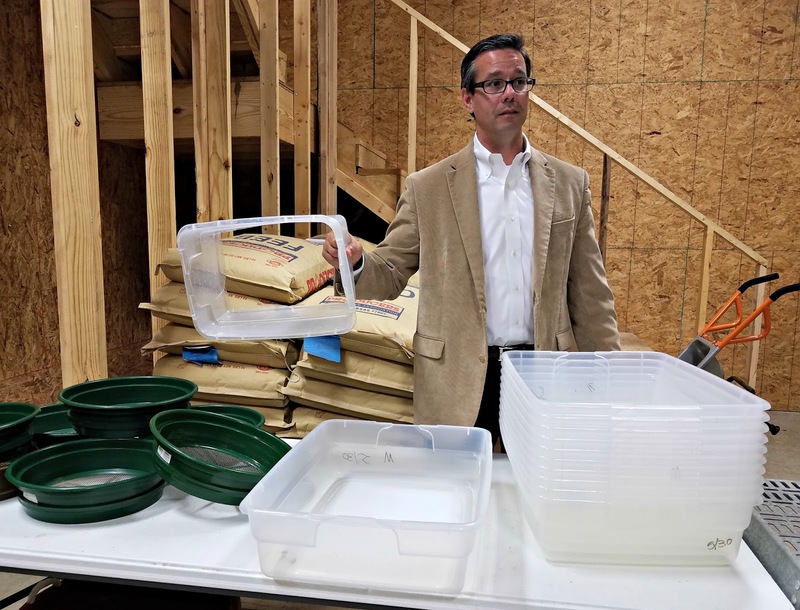 Dr. Tomberlin demonstrated how easy it is to set up a simple plastic tote as a 'nursery' for the larvae to feed and mature in. The BSFL mature extremely fast, in just five days - think mealworms on steroids! 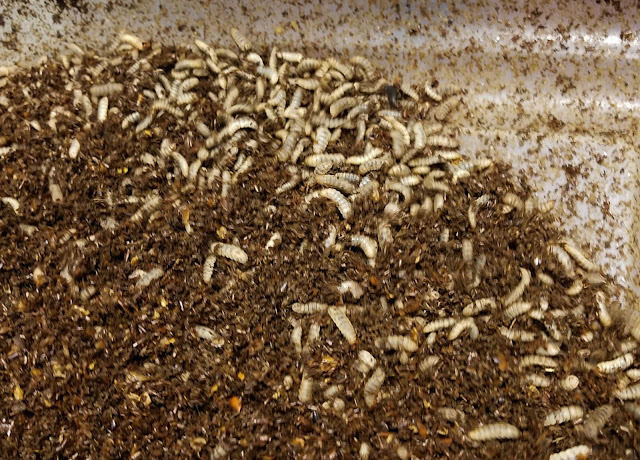 - and the end result in your bin once you have harvested all the larvae (they make wonderful chicken treats, live or dried, by the way! ), is beautiful nutrient-rich composted material for the garden. 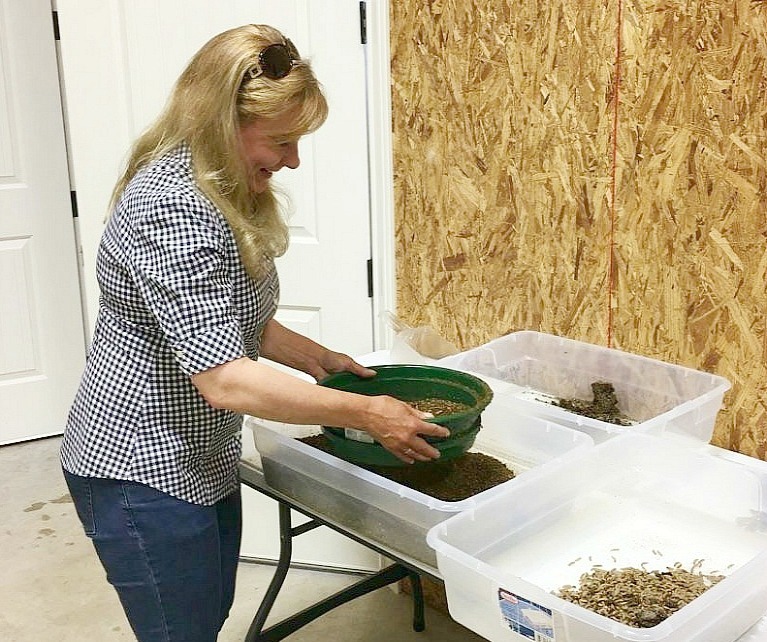 They are super efficient composters and will hasten the rate of decomposition in your compost bin considerably, greatly reduce any odor and decrease the mass of the composted material by up to five times. 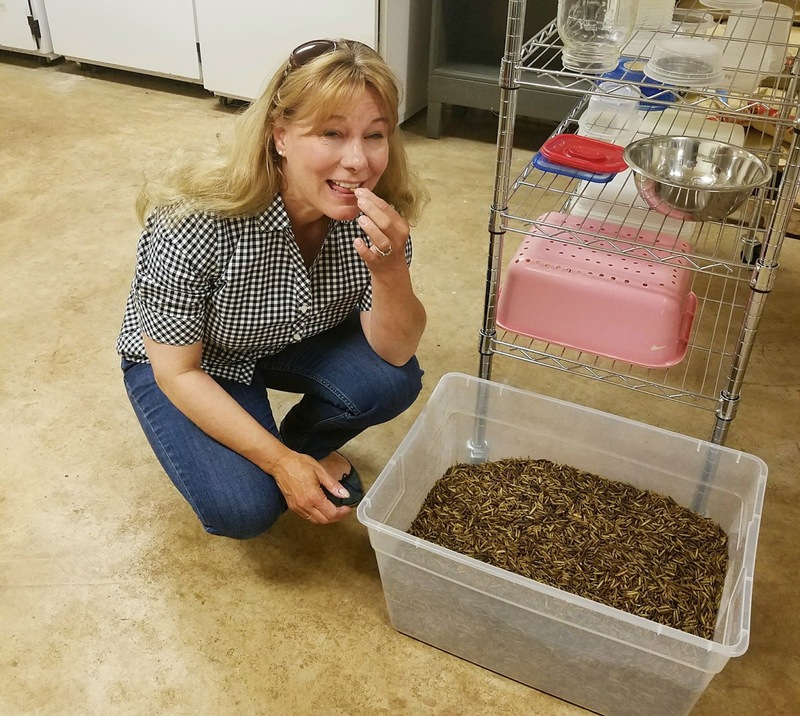 In the interest of having the full experience while I was there, I practiced sifting some of the larvae out of the substrate ... and I have to admit that I did sample one of the dried larva! And it wasn't that bad, honestly. It had the crunch and puffiness of a Rice Krispie, but the overall taste was more like a peanut skin. Of course I brought home a container of the dried larvae for my chickens and I am happy to report that they absolutely loved them. In fact, I'm sure they enjoyed them far more than I did! 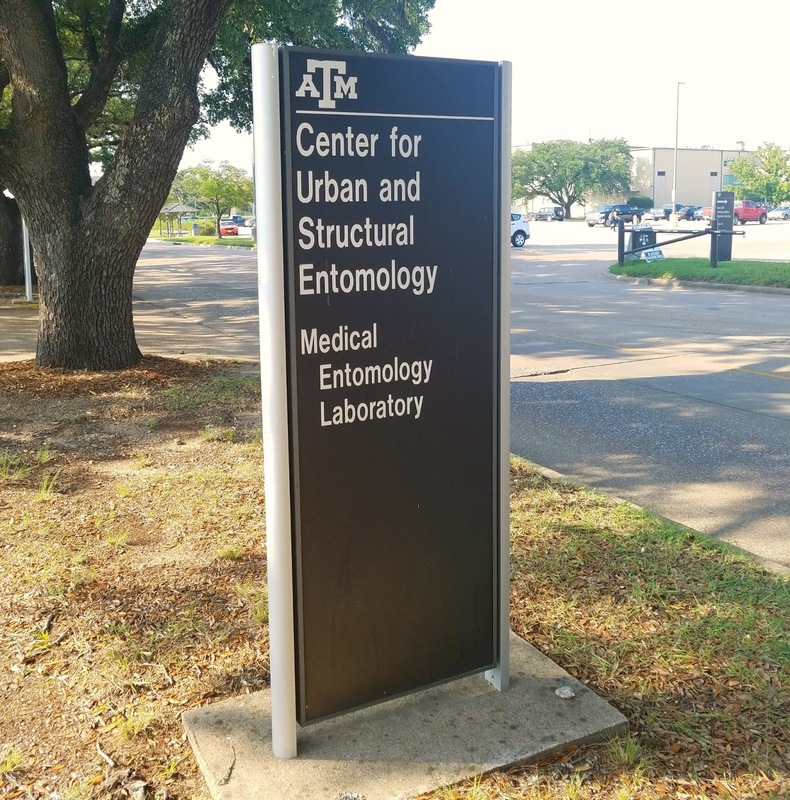 I learned so much more about these interesting insects while I was there, and really enjoyed meeting with the entomologists and touring their labs. They also showed a few time-lapse videos of the BSFL eating fish, a hamburger and other foods that were absolutely mesmerizing. 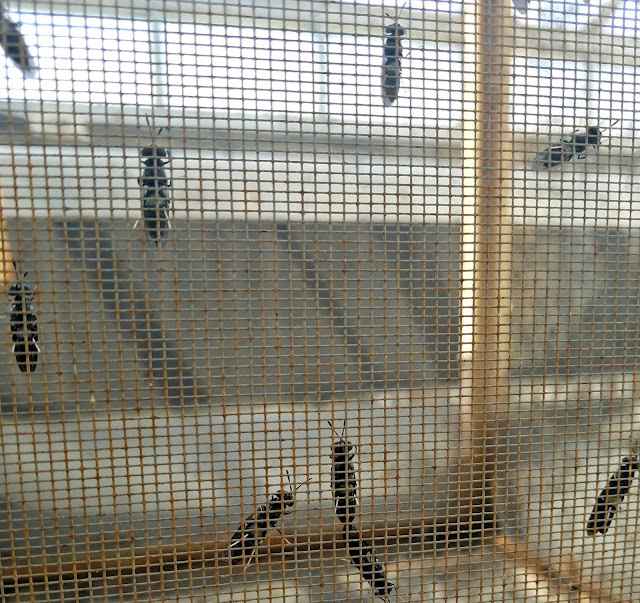 When you add up all the pluses of these wiggling larvae, I think they're a clear choice as an addition to your chickens' diet, and I'm going to be very interested to follow Dr. Tomberlin and his staff's further research into this fascinating bug. I would like to thank everyone involved for hosting me for the day. I had a wonderful time in Texas and look forward to going back in the future. Time-Lapse Videos https://www.youtube.com/watch?v=DhR2jDS2IJI https://www.youtube.com/watch?v=qaoVBlS8iVA Be sure to subscribe to my newsletter so you get my weekly blog posts delivered right to your inbox! Fascinating. Thanks. I've heard great things about using these as a chicken feed source. I hadn't considered trying to establish them in the compost pile. That would have the added benefit of attracting the chickens to the pile.